150 Pages of Hibernation Book Companion Materials! 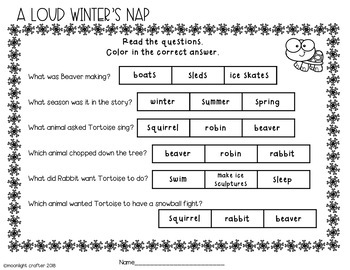 Use these materials along with the NEW book The Snowy Nap by Jan Brett! When winter comes, Hedgie wants to stay awake so he doesn't miss out on all of the winter fun! All the farm animals say goodnight to Hedgie before he goes to sleep for the winter...and each one tells him about the winter time fun he will miss while he is hibernating....Lisa making snowmen, icicles decorating the chicken coop and fun on the frozen pond! Before he can fall asleep, winter arrives! Lisa takes him inside to watch all the wonders of winter all cozy and warm next to the window! The Mitten and The Hat! Colored Picture Cards: perfect for the pocket chart or small group sequencing and retelling activities! 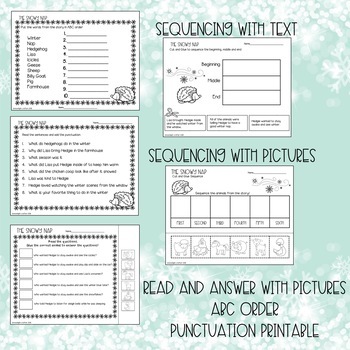 Vocabulary Thinking Printables: 10 printables-each one highlights a new vocabulary word....children will look at the picture, read the sentence and then explain what the vocabulary word means. Hedgehogs can, have are graphic organizer: cut and glue the responses in the organizer to make sense! My Hedgehog Information Book: 6 pages for recording Hedgehog information! Looking Close at a Hedgehog: Fill in the answers to some simple questions about hedgehogs! Three Hedgehog Information "Fill in the Blanks"! Read each sentence and use the word banks to fill in the missing words! The Shimmering Chicken Coop Craftivity: Color the chicken coop all wintery and add some silver glitter to make is shimmer! Shimmering is one of the vocabulary words...so I love doing this craft along with the vocabulary work! The animals are getting ready for hibernation, pajamas, pillows and all! 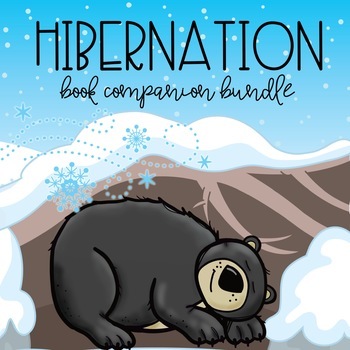 Michelle Meadows introduces a scientific concept – hibernation in a fun manner that little learners can understand. However, falling asleep for the winter does not run so smoothly. Your children will be able to relate to the same bed time problems that the animals in the story have... Someone’s hungry, someone spilled their water, someone is scared and they all need help to settle in! This book is a great way to integrate science into your reading activities about hibernation and winter! The book isn't included, but is necessary for completing the activities! 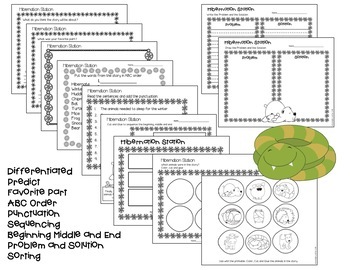 You will be able to use a lot of the materials with any book about hibernation! The preview shows all of the materials in this resource, so you can see what is included and make sure it is a good fit for your class! If you like this set of materails, please leave me feedback! Follow my store for new products and FREEBIES! Your feedback earns you TPT credits to use towards future purchases and helps other buyers know if you liked a product!